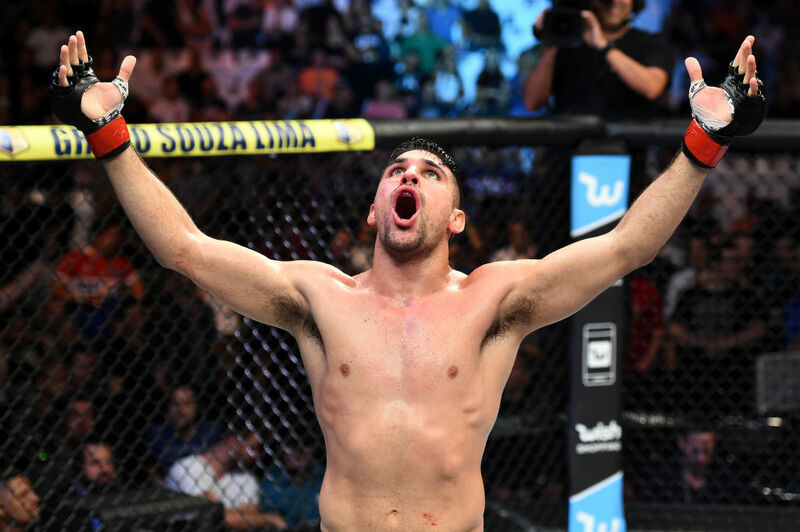 His birth certificate says he was born in Westwood, New Jersey and he is announced as fighting out of Brasilia, Brazil, but Saturday night’s inaugural UFC event in Santiago, Chile will still be a homecoming of sorts for Vicente Luque. While there is comfort in sleeping in your own bed and driving your own vehicle to the venue, home games can also mean more calls from long lost cousins or old friends from high school suddenly looking to reconnect after all these years and take some extra tickets off your hands if you just happen to have two or three or seven you’re looking to get rid of real quick. Plus, fighters often grow accustomed to the routine of fight week and changing that up isn’t always easy. 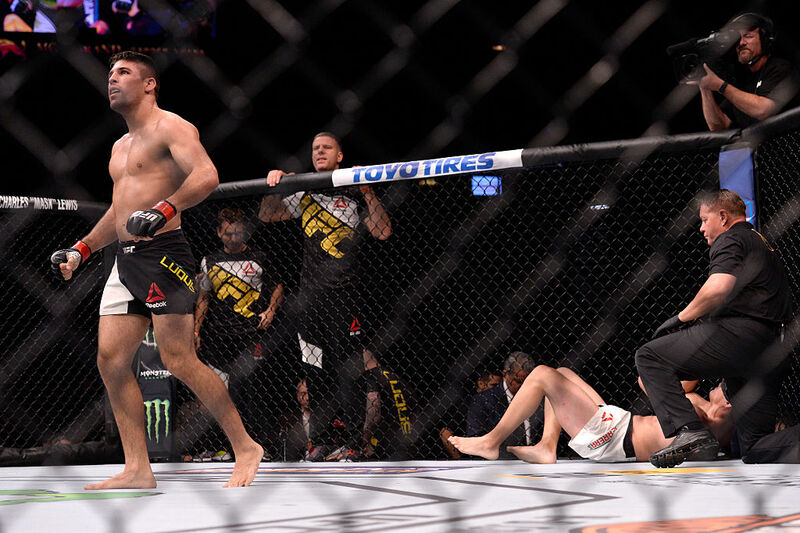 “I’ve lived this before and it has been a great experience for me,” said Luque, who earned a first-round knockout victory over Hector Urbina while competing in his hometown of Brasilia and another when he took on Belal Muhammad at UFC 205 in New York City, just a few miles down the New Jersey Turnpike and through the Lincoln Tunnel from where he was born. After coming out on the wrong side of a showdown with rising British welterweight Leon Edwards, Luque rebounded last time out with a second-round submission win over Niko Price, lacing up a D’Arce choke after stinging “The Hybrid” with strikes along the fence near the close of the round. Following the bout, he lobbied for a date with another surging fighter from the United Kingdon, Darren Till, who had collected a victory over Donald Cerrone the previous weekend in Gdansk, Poland. The talented Scouser got stationed next to Stephen Thompson in a bout that headlines next weekend’s debut event in Liverpool, leaving Luque to square off with the talented Canadian Laprise instead. “The big thing is I wanted to fight in Chile, so the opponent wasn’t so important to me,” said Luque. “Chad is a great opponent – he’s coming in with three wins, three knockouts, and he’s a great striker that pushes forward. Luque also hopes it’s a bout that helps him continue his slow and steady climb up the welterweight ranks. “I feel really good about how my career has gone,” he said, reflecting on a career that started almost nine years ago. “I’m after that title. I want to be the champion. I want to be in the Top 15 first, get to the Top 10, then the Top 5, fight for the championship, win the championship and keep it for a long time. Saturday night, in front of friends and family at the Movistar Arena in Santiago, Chile, forward is the only direction Luque intends to go. “I fight forward. I don’t hold back. It’s not that I’m looking for the finishes, but my style is to press forward and hit the guy as hard as I can. They’ve happened in each of his last five victories and if it happens again this weekend against Laprise, “The Silent Assassin” will take another big step forward in his journey towards the top of the welterweight division.